In all countries in the world, almost everyone uses a smartphone. Whether it's Android or iOS, there's no time without a Smartphone. With a smartphone it can be used to play chat, play games, advertise, buy and sell, and various other facilities can use a Smartphone. But besides that, it turns out there are several applications that can generate commissions in the form of money. This method is very easy and can be done when relaxed and have free time. In addition, the way it works also varies, some have to fill out surveys / opinions, complete orders (install applications), watch videos, and there are also those who only play games to get commissions. 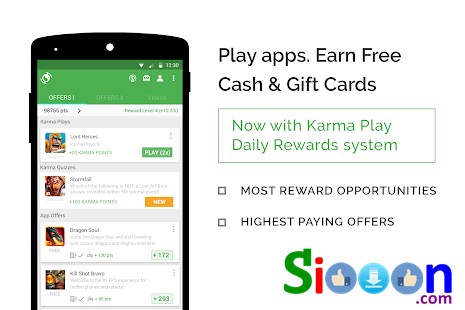 The following are 5 Android / iOS applications that can generate Siooon's recommended money, sequences based on number of users, number of prizes, proof of payment, and ease of use. 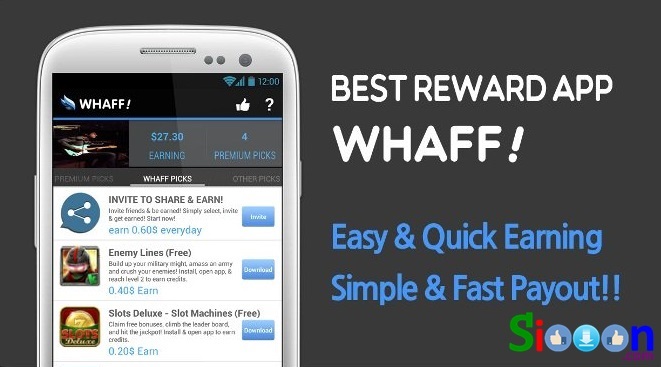 The first is the WHAFF Prize, a very popular gift application and proven to pay its members. To get money the task is to download, install, and play the application. For large fees ranging from 0.1 to 1 dollar depending on the task completed. There have been many forums that discuss Whaff and many users who claim to be paid (Not Scam or Fraud). You can try it because it's FREE for withdrawals via Paypal. 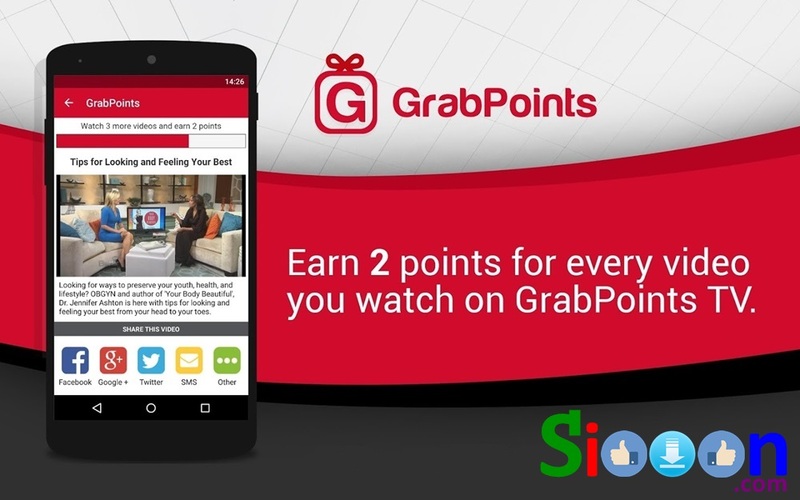 Next is GrabPoints with a small size and an easy way to work. 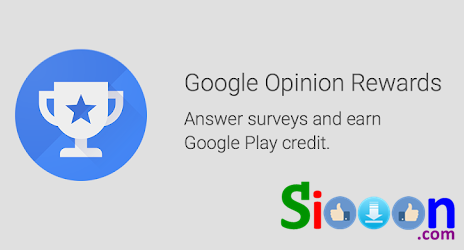 The way it works is by completing the survey correctly then watching the video. Members will generate points that can be exchanged for dollars for withdrawals through Paypal. Unlike the previous application, from Google this is easier. Members are only assigned to fill out surveys and provide opinions correctly (do not answer origin). For example, giving input logos, places, or answering surveys from restaurants or companies. Finally is a money-generating application by simply playing games. Easy? 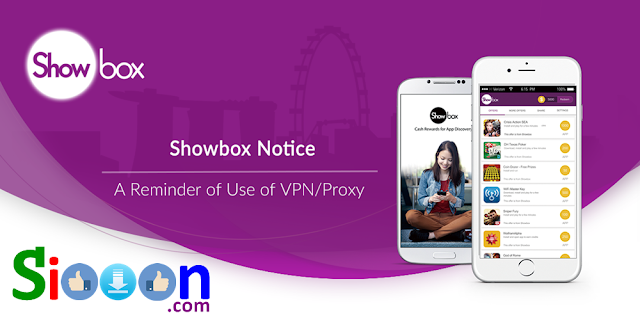 It's easy and of course a lot of people are interested so you have to compete with other game players in the Showbox application. Based on several sources there are already many people who make $ 20- $ 30 from this application. His job is only to play games and collect points that can later be exchanged for dollars and withdraw it to a Paypal account. 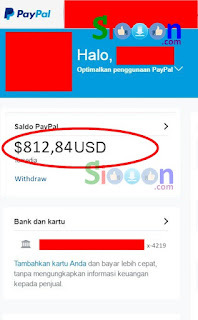 For motivation and enthusiasm for those who want to start looking for money from the Internet or Smartphone Applications. Here are the results of my work from several commissions. Among them are commissions from several Android Applications. Thank you, apologize if there is an error in writing. Keyword : How to get extra income from Apple Iphone iOs Application, How to get Money from Smartphone Applications, How to get Commissions from Smartphone Applications, 5 Best Apps to get Dollars, Earn Dollars from Android Applications IoS Apple Whaff, Earn Dollars from Android Applications IoS Apple Grab Points , Get Dollars from Android Apps Apple AppKarma, Get Dollars from Apple Android Applications Apple Google Opinion, Earn Dollars from Android Applications Apple Showbox, Secrets get $ 10 $ 20 $ 30 from Android / iOs Applications, Tips and Tricks to earn money from Android Applications / iOs. 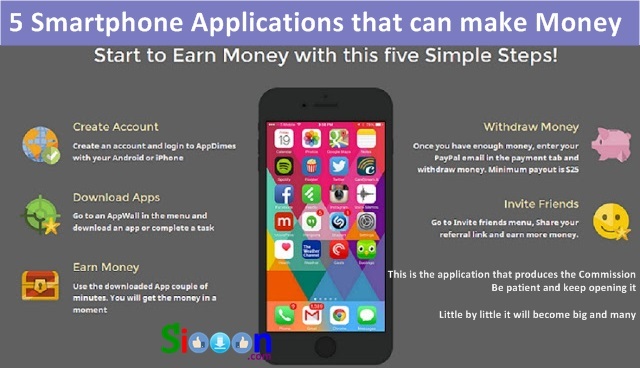 0 Response to "5 Smartphone Applications Android / iOs that can make Money"